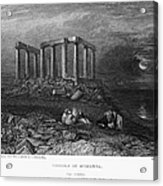 Greece: Cape Sounion, 1832 iphone x case by Granger. Protect your iPhone X with an impact-resistant, slim-profile, hard-shell case. The image is printed directly onto the case and wrapped around the edges for a beautiful presentation. Simply snap the case onto your iPhone X for instant protection and direct access to all of the phone's features! 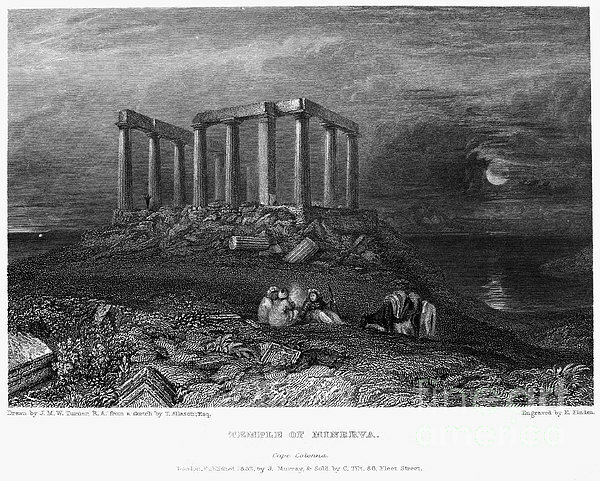 There are no comments for Greece: Cape Sounion, 1832. Click here to post the first comment. 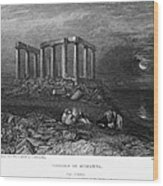 GREECE: CAPE SOUNION, 1832. 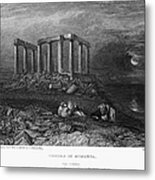 View of the ruins of the Temple of Poseidon at Cape Sounion (or Cape Colonna), Greece. 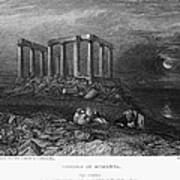 Steel engraving, English, 1832, by Edward Finden after Joseph Mallord William Turner.